Brighten up your Holidays with these easy to make stocking. Hand or fuseable appliqué instruction. 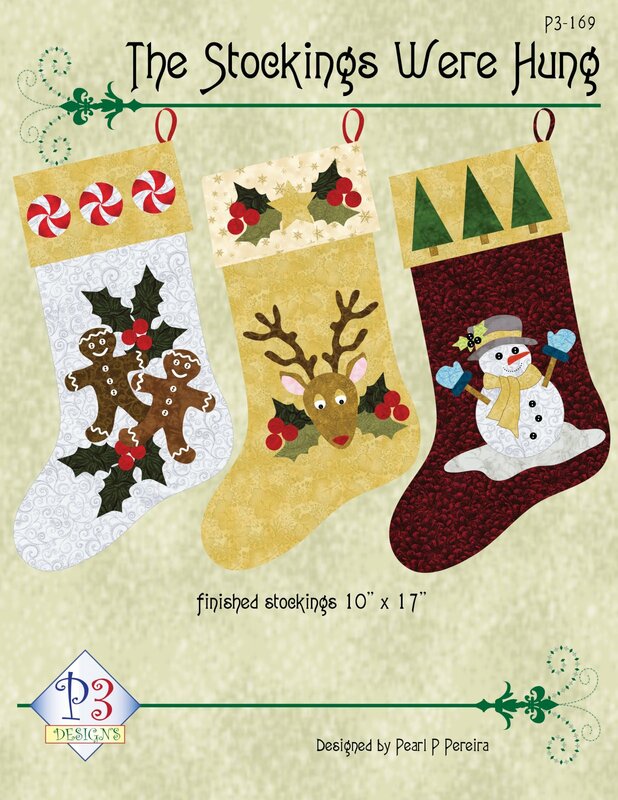 Pattern includes all three stocking designs. Finished stocking size 10" x 17"